Et uxore Joanna, filius natu maximus. 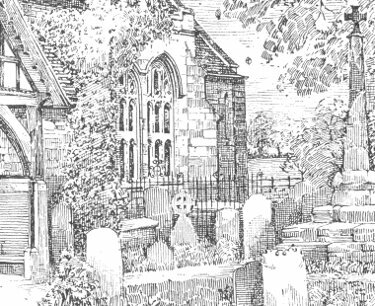 (Here) lies buried William Brydges of Old Colwall, Gentleman, in the parish of Colwall, the oldest son of Thomas Brydges and his wife Joan. And his wife Ursula, daughter of John Drew of Dymock, Gent in the county of Gloucester. His sons, William, John, Thomas & Richard (four pledges of mutual love). Mourned very much by his wife and children, he departed from life on the twenty-third day of July in the year of our Lord 1704, he was aged 63. In memory of Thomas Brydges, Gentleman, whose death was on the sixth day of April in the year of our Lord 1692, aged 89. And he lies in this tomb near the remains(?) 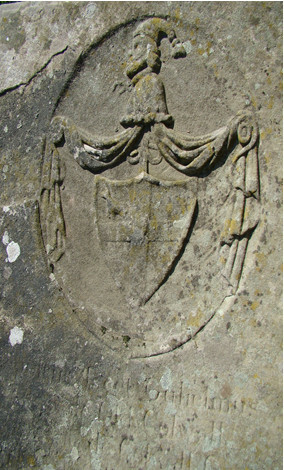 of his father William Brydges, Gent.